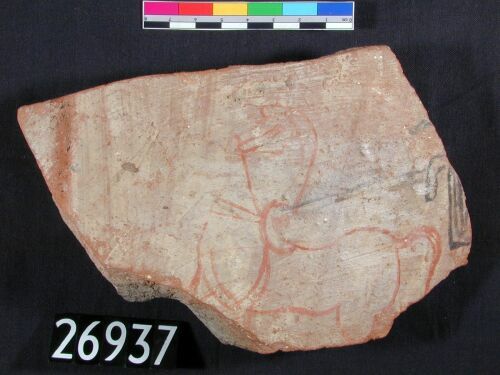 Buff ware ostracon with figure of yoked horse painted on surface in red. Part of chariot, to which reins of horse lead, painted on right in black. Horse's legs missing. Mane and tail indicated. Bridle in red, reins in black.